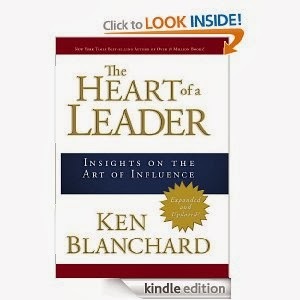 About the author: Dr. Ken Blanchard is a highly respected business leadership consultant and best-selling author. His book The One-Minute Manager (with Spencer Johnson) has sold more than nine million copies worldwide, and Raving Fans and Gung Ho! (both with Sheldon Bowles) are also best sellers, along with other books in The One-Minute Manager Library. Ken is the chief spiritual officer of The Ken Blanchard Companies, a group of management training and consulting businesses that he and his wife, Dr. Marjorie Blanchard, founded in 1979. He is also a visiting lecturer at his alma mater, Cornell University, where he received his B.A. and Ph.D. degrees. From a 5-star review: In the introduction, Ken Blanchard tells us that he always liked sayings when he was on football teams, such as When the Going Gets Tough, the Tough Get Going. With this book, he turned that love of sayings into a synopsis of his thinking about leadership. You might think that all of these sayings are authored or coauthored by Ken Blanchard. Not so. Although he is the author or coauthor of 36 of them, other notable figures including Churchill and Lincoln make the list. The book's format is to have the saying in large type on the left hand page, and a one page commentary on the right hand page. The commentaries are well done, and add a lot of insight into the saying. You should think about this book as a summary of Blanchard on leadership. To give you a sense of how this works, you may remember that the key first step in The One Minute Manager was To Catch Someone Doing Something Right and give them a One Minute Praising. The quote for this is the first one in the book and goes on to explain how to do this: promptly, specifically, and with enthusiasm. As you know, Ken Blanchard's books usually have fable or two in them. The book has no fable, so you just get the key principles. So if you prefer key ideas, this is the book for you. If you want to have a good reminder of everything Ken Blanchard has written, this book is for you. If you want to quickly focus on good ways to be a better leader, this is a good book for you. If you want to have a good gift to give to someone you care about to make them a better leader, this is an excellent book for that purpose. Enjoy!